We offer trade and commercial pricing with valid credentials or are happy to work with clients on a retail basis. 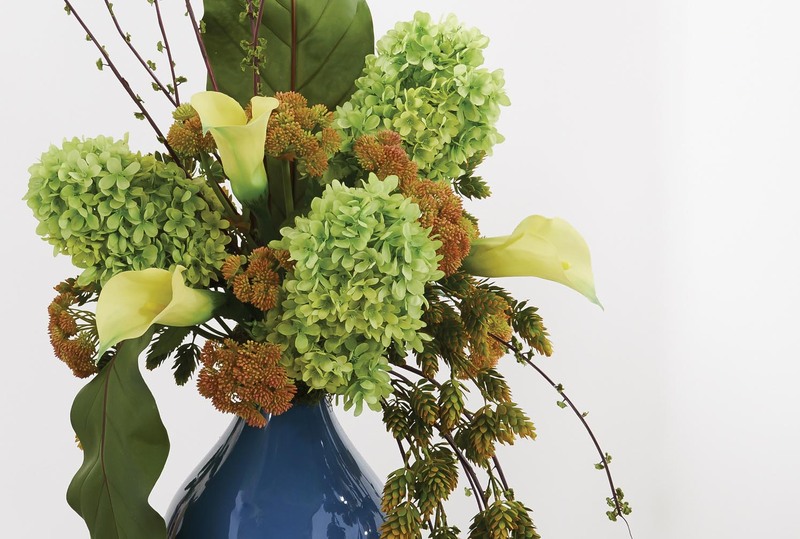 We stock 1000's of flower stems of the highest quality, in both botanically correct and designer colors and styles. 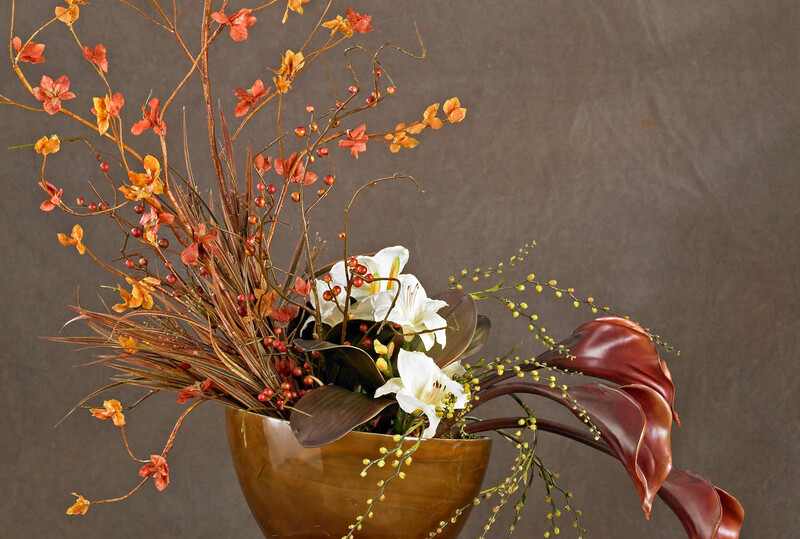 We custom design your arrangement in the style and size you require. Available loose or potted in paper mache pots for placement in your own container one of ours. We maintain a large selection of the finest tree foliage to produce lush trees with Dragonwood, Wax Myrtle, Curly Willow or Birch trunks. 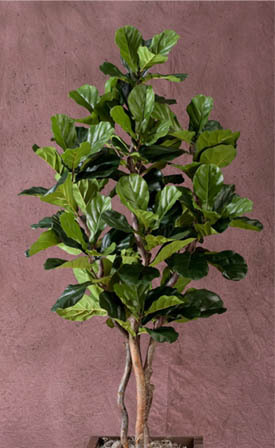 Silk foliage offers many advantages over its live counterparts. 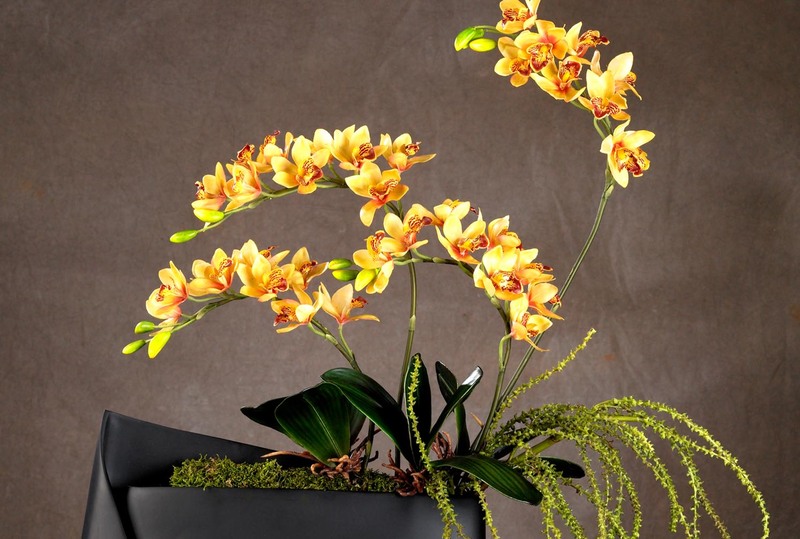 Today's permanent botanical have evolved to the look and feel of live plants. 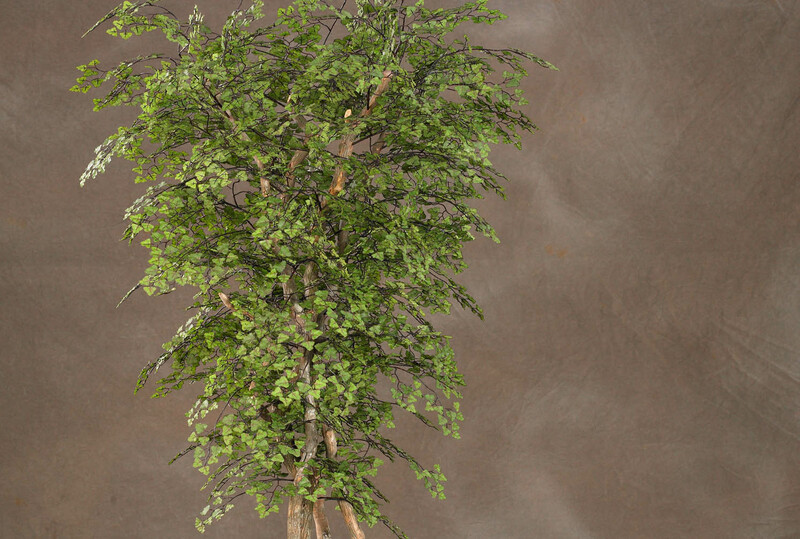 At Beck's, we are a custom manufacturer and wholesaler of the highest quality artificial trees, plants and floral arrangements. We are primarily a wholesale distributor to trade professionals; however, we are happy to work with retail clients through a trade referral or directly at retail pricing. I get so many compliments on the clock that hangs in the entrance to my home. Thank you it is absolutely beautiful. I’ve enjoyed decades of fun and business relationships with not only the owners of Beck’s Silk Plant Company, but the employees as well. The talent and professionalism is displayed at each visit. The keen eye for design is apparent in their selections, making my job much easier. 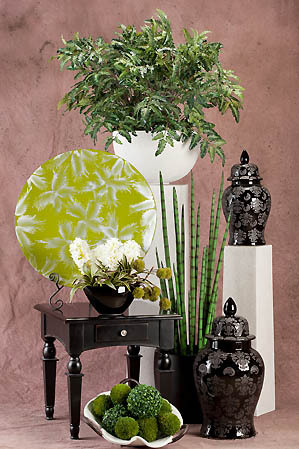 Beck's Silk plants is the best resource for silk plants and florals in Colorado. I have been using them for over 13 years for my business and everything they do for KTI (Kimberly Timmons Interiors) is 1st class. They go above and beyond to meet our needs, budgets and deadlines. Their talented designers Tyler and Natasha always have new and unique floral design ideas to put that finishing touch on our projects. 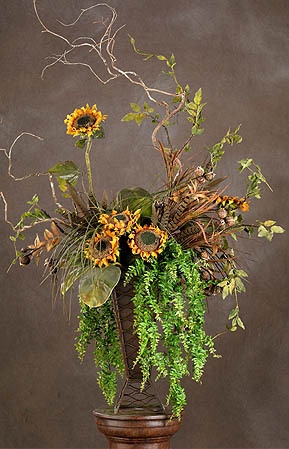 We even use them for our out of state projects and their florals receive rave reviews from clients. I highly recommend them for all your plant and floral needs. It’s well worth the trip from Colorado Springs to Denver, to assure, I find the high quality and unique décor I look for in my designs and creations for my clients. Thank you Beck’s. I appreciate your professionalism and helpful staff too! Save a Child's Heart - visit www.dansfund.org to see how you can help get Automatic External Defibrillators (AEDs) into Colorado Schools.